DDB Helsinki recently co-ordinated this brilliant stop-motion project for Tikkurila Paints. After meticulous planning, a large blank canvas was erected in a square in Helsinki. 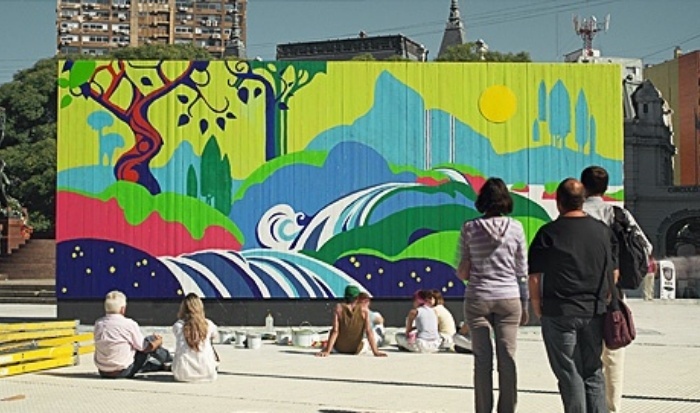 A team of artists, art students and mural experts then proceeded to paint a surreal landscape scene. Over the course of a week the team changed the mural bit by bit, so that when it is all pulled together in this film it creates a fantastic, rather beautiful advert to demonstrate the "power of colours" for the paint brand.